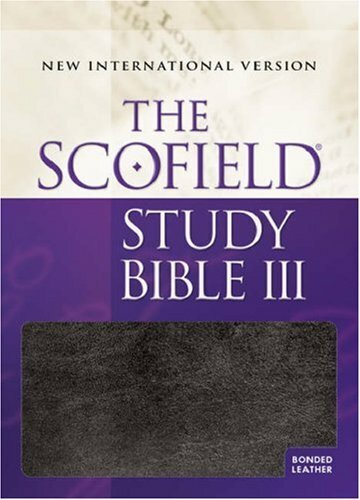 The Scofield® Study Bible III offers an unparalleled package of tools designed to enrich the study of God's unchanging Word. This volume, bound in attractive blue bonded leather, includes a presentation page for gift giving and a full-color map section. In addition to being attractively printed and bound, it is also highly durable and made to withstand daily use. Most important, the Scofield® Study Bible III NIV includes all of the study and reference features that made it the preferred study bible for generations of readers. It includes cross references that link topics and words together, introductions to the various books of the Bible, a superb system of chain references, the concordance, study notes, charts and diagrams, a subject and a proper name index, and much more.